Mineral deposits in a region called Northeast Syrtis Major suggest a plethora of once-habitable environments. By mapping those deposits in the region’s larger geological context, Brown researchers may help set the stage for a future rover mission. PROVIDENCE, R.I. [Brown University] — Brown University researchers have published the most detailed geological history to date for a region of Mars known as Northeast Syrtis Major, a spot high on NASA’s list of potential landing sites for its next Mars rover to be launched in 2020. The region is home to a striking mineral diversity, including deposits that indicate a variety of past environments that could have hosted life. Using the highest resolution images available from NASA’s Mars Reconnaissance Orbiter, the study maps the extent of those key mineral deposits across the surface and places them within the region’s larger geological context. 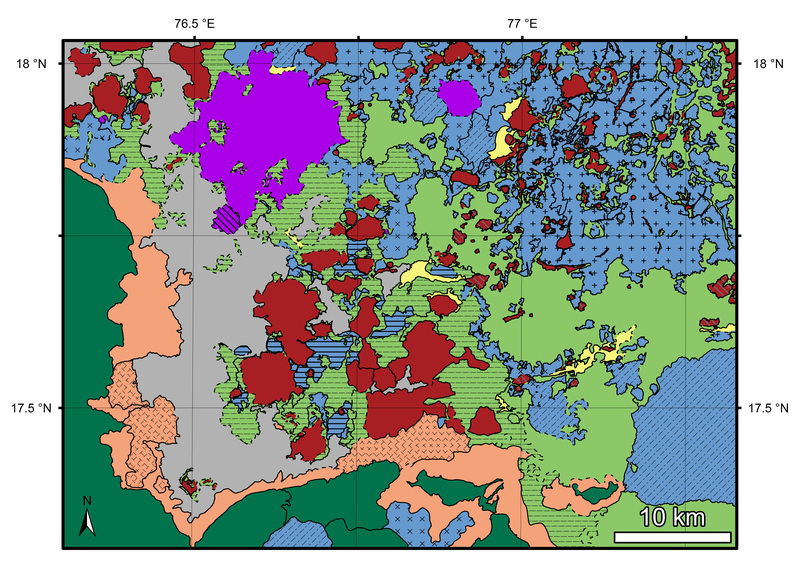 A detailed map shows the the various geologic units exposed at Northeast Syrtis.